The Ampuis wine markets are holding their 90th annual event! Over three days, this major occasion in the world of wine will bring together 60 winemakers and wine companies, offering more than 200 wines from the Rhône Valley to taste and buy. 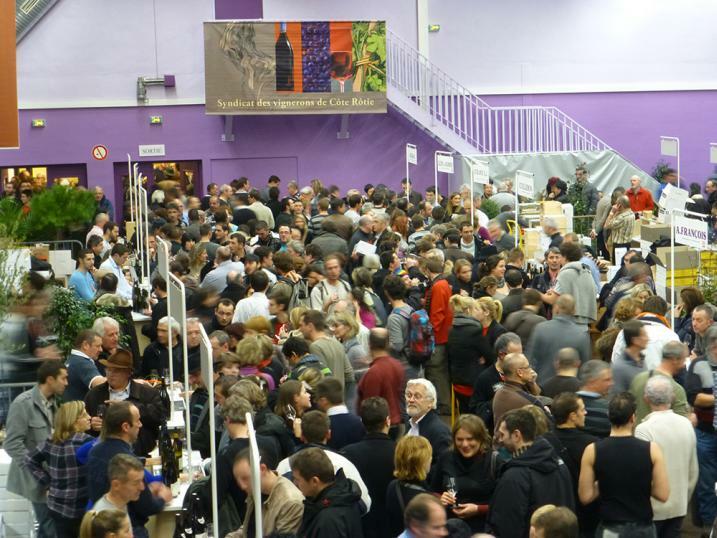 Around 15,000 people, including wine novices and enthusiasts, come together each year at the Ampuis wine markets. This historic meeting features the Côte-Rôtie wines and those from neighbouring districts in the Rhône Valley: Condrieu, Saint-Joseph, Cornas, Hermitage, Saint-Péray and Crozes-Hermitage. To accompany these wines, there are 15 different stands offering local fine foods including mushrooms, olive oil, snails, cheeses, jams, salted meats and the ravioli of Saint-Jean.